Is a wine grape variety originally planted in the Médoc region of Bordeaux, France, where it was used to produce deep red wines and occasionally used for blending purposes in the same manner as Petit Verdot. A member of the Cabernet family of grapes, the name "Carménère" originates from the French word for crimson (carmin) which refers to the brilliant crimson colour of the autumn foliage prior to leaf-fall. 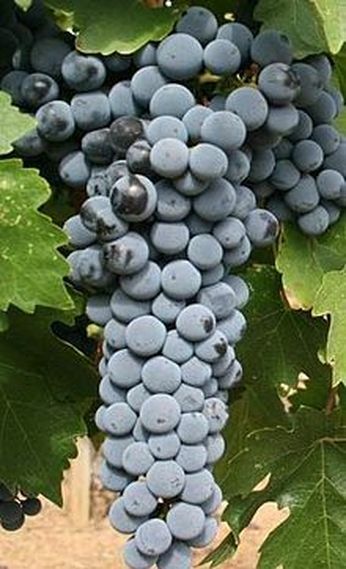 The grape is also known as Grande Vidure, a historic Bordeaux synonym, although current European Union regulations prohibit imports under this name into the European Union. Along with Cabernet Sauvignon, Cabernet Franc, Merlot, Malbec and Petit Verdot, Carménère is considered part of the original six red grapes of Bordeaux.